Let’s face it, mobility has always been a fundamental part of businesses with the help of IP and SIP communications and other multimedia desk phones, however, such equipment only makes it possible to connect when in the office. In order to meet the advanced requirements of an enterprise, mobility must be taken to the next level. And in the wake of the mobile evolution, enterprise mobility has taken a new form and importance. Enterprise Mobility is becoming increasingly important as businesses attempt to leverage mobile communications to stay connected. As enterprises move to mobile and virtual workforces, the right communication tools are necessary to simplify enterprise mobility. The use of smartphones and tablets are especially beneficial for enterprise mobility keeping employees connected whether at the office or when working off-site remotely. With IP communications on the rise and mobile devices like smartphones and tablets becoming an everyday commodity, the push to the mobile workforce is now easier than ever before. But the idea is not to move every SMB or enterprise out of the office, rather the concept is to create the alternative of having a mobile work environment to keep employees connected and working no matter where they are located. While enterprise mobility is most beneficial to those who travel, employees on-the-road are not the only ones who can take advantage of mobility options. With the constant battle for time in the workplace, being able to provide employees with tools to work while on-the-go is one of the biggest assets a company can possess. Whether you have a meeting across the country or down the street at a local coffee shop, the ability to remote, call, or log-in to your work server, is not only advantageous for your productivity, but also for the overall well-being of your company. If you think you have something great to showcase t0 the community, register by sending email to nilesh@momoindore.com. You can bring in your Laptops, Tablets for demos. WiFi will be available at the location. Mobile Monday, an international forum for developers of mobile Value Added Services and mobile technology professionals, today organized a 1-day conference VAS’o’Mania: realizing the VAS opportunity, in association with Bharti Airtel Ltd and LNCT Group of Colleges. 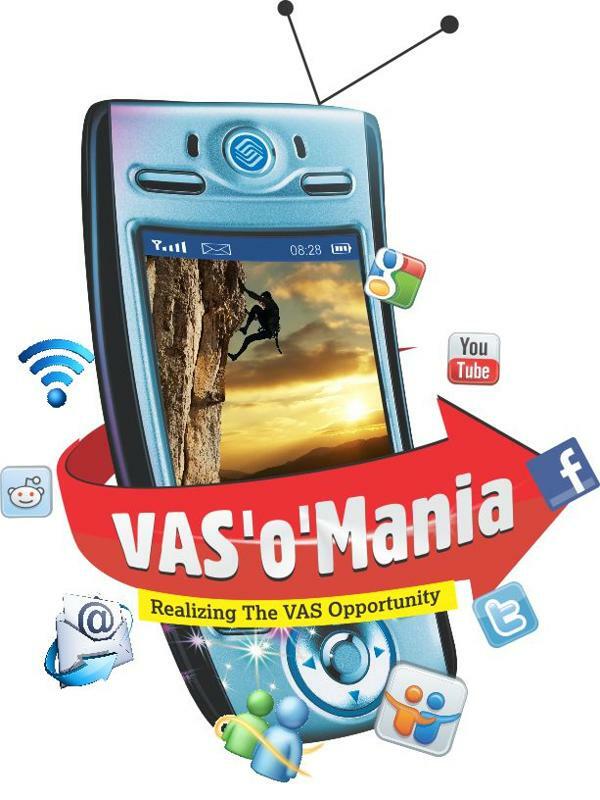 VAS’o’Mania also marked the launch of the Indore Chapter of Mobile Monday. Value Added Services have gained a huge significance in the global mobile telephone industry in the recent past. With newer Value Added Services getting introduced in the mobile market every day, the normal mobile phones have got converted into Smart Phones making lives of millions of users more and more convenient. On the occasion of the recently observed World Telecom Day, the emergence of Value Added Services was a highly talked about at the global level. With VAS’o’Mania, a successful attempt was made to make the students learn about the life cycle of a Value Added Services, to motivate and inspire the professional developers of Value Added Services working in Indore and surrounding areas and to promote the consumption of Value Added Services in Madhya Pradesh. The conference was inaugurated at LNCT Auditorium by Mr. Suprabhat Chouksey, Managing Director, LNCT Group, Mr. Rajnish Kaul, Chief Operating Officer, Mobile Services, Madhya Pradesh and Chhattisgarh, Bharti Airtel Ltd and Mr. Nilesh Maheshwari, Founder, Mobile Monday Indore and Chief Executive Officer, eMorphis Technologies, Indore. Mobile Services, Madhya Pradesh and Chhattisgarh, Bharti Airtel Ltd. spoke about the identification of a new Value Added Services, its life cycle and the latest trends in consumption of Value Added Services across the world, country and the state. The conference ended with session by Mr. Prem Rathi, Director – Busness Development, Value Added Services, Impetus Technologies, who spoke about the consumers’ perspective on Value Added Services. He also summarized the learning from the entire conference recounting the sessions by all the speakers. In order to make Indore get the global mobile advancements advantage locally, MobileMonday, Finland and eMorphis, Indore have recently signed an agreement for the MobileMonday Indore chapter at Mobile World Congress, Barcelona, Spain. MobileMonday (MoMo) is an open community platform of mobile industry visionaries, developers and influential individuals fostering brand neutral cooperation and cross-border P2P business opportunities through live networking events to demo products, share ideas and discuss trends from both local and global markets. MobileMonday celebrates 11 years of collaboration, community, and innovation with the new chapter launch in Indore, India. With Indore becoming its 115th chapter, MobileMonday is now active in all continents. 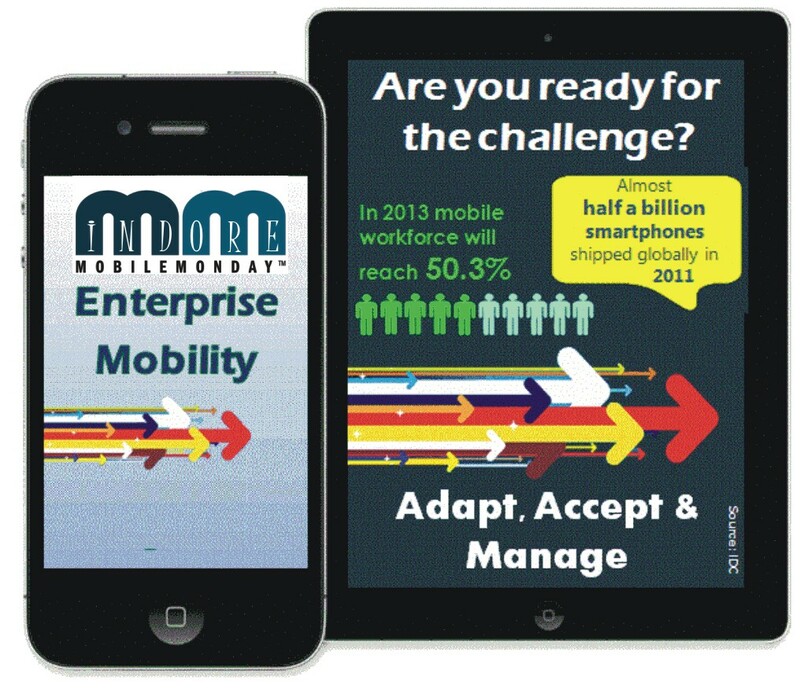 Indore mobile community will join the worldwide group of mobile movers and shakers under the direction of Nilesh Maheshwari, Founder & CEO of eMorphis Software Technology Solutions, an outsourced software development company focused on end to end mobile software solutions design and development. eMorphis is also focused on strategic consulting and corporate training on higher end technologies. It is a global specialist, providing software product/application engineering services to Independent Software Vendors (ISVs), software enabled businesses and companies that work on embedded software. Their focus area is enterprise mobility, core server engineering and Machine2Machine systems development. The Indian telecom sector is opening up with new possibilities and opportunities. India has shown a massive growth rate in telecom sector by crossing 750 million mark of wireless subscriber, which has made India a very hot market for mobile value added services and mobile application development. India is one of the key players in developing mobile echo system and mobile application development for product companies all across the world. Indore has joined the flow of development with eMorphis doing a tie-up with MobileMonday to make the city mark milestones in the Mobile industry. For the same, the two have recently signed an agreement at the Mobile World Congress (MWC), Barcelona, Spain. “India is a huge mobile market with plenty of innovation and potential that rest of the world should be aware of. We hope that with the MobileMonday partnership, Indore and overall Indian businesses can benefit from our global network as well create a vibrant ecosystem locally,” said Jari Tammisto, CEO of MobileMonday Global. “Indore is emerging as an educational hub and is now luring many MNCs to setup their software development centers here. Our goal for MobileMonday Indore is to connect the global mobile community with the local businesses, software developer community and educational institutes to help them keep pace with global advancements and continue their innovative work by creating an interactive network for finding partners, investors and clients. We want to see MobileMonday Indore as a key influencer for the mobile industry in the Central India,” commented Nilesh Maheshwari, founder of Mobile Monday Indore India chapter.